I’m sharing this for any other parents of younger children who might find it useful. My 4 year old is OBSESSED with pregnancy at the moment, has been for a good while. Discussions on how to talk to your children about abortion come up a lot in Parents for Choice. I haven’t done that in detail yet with her though I have mentioned once or twice that sometimes people don’t want to stay pregnant. BUT what I am doing is being very careful in the language I use about pregnancy. I don’t tell her people have “a baby in their tummy”, we talk about people having baby seeds that are growing into babies. When they’ve finished growing into a baby they’re ready to be born. 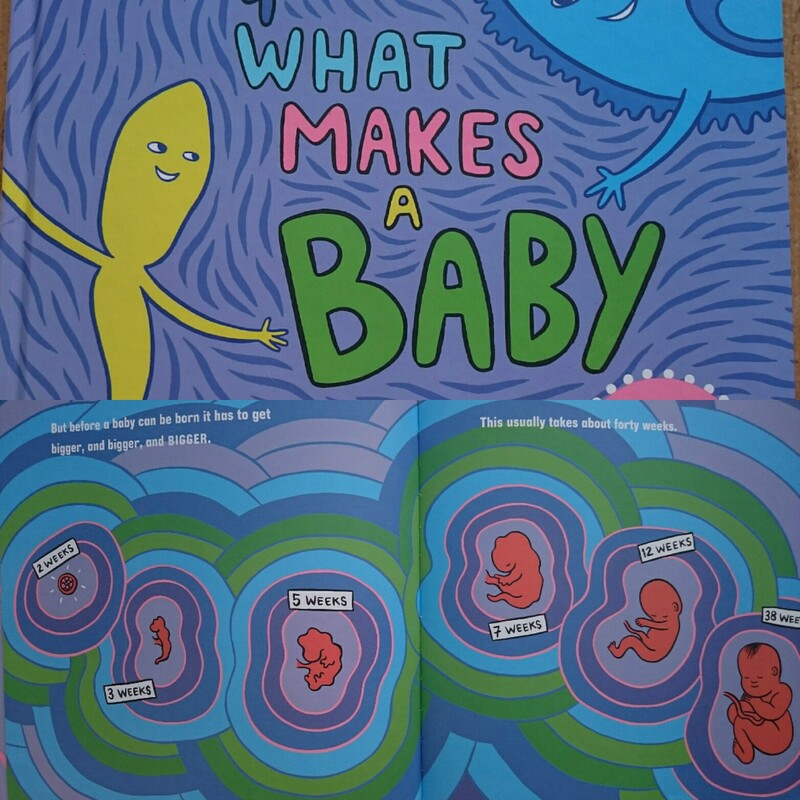 This book is great for a basic explanation of conception that suits all kinds of families (definitely not the case for the vast majority of pregnancy books which are obsessed with married straight white couples) but where it falls down for me is talking about a 5 week embryo as a baby, so I do some editorial reading with Ailbhe and talk about these as baby seeds until the 38 week one which is a baby. It works really well and makes sense to her, we’re growing a sunflower from a seed in our windowsill at the moment. She demanded her daddy read it to her the other day while I was at work and informed him they were all baby seeds up until the 38 week one! I’m doing this because I don’t want to be trying to explain to a seven year old who’s asking me questions about abortion that actually a 7 week embryo or whatever it is isn’t actually a baby in someone’s tummy as I’ve been telling her all along and so that it won’t strike her as something as immediately shocking as I think it otherwise might. I’m posting in case it might help others in the same situation. Posted in Abortion, The family and tagged abortion, children, choice, parenting, pregnancy. Bookmark the permalink. So when exactly is it a baby? Eh – isn’t that what you are? So you are implying that because some is straight, married and white, they cannot be aware of and opposed to racism and heterosexism? Perhaps time to read up on white privilege and heterosexual privilege and other forms of privilege, and learn how those who are privileged can contribute to reduce discrimination of those who are not. Children’s books are a very good place to start.